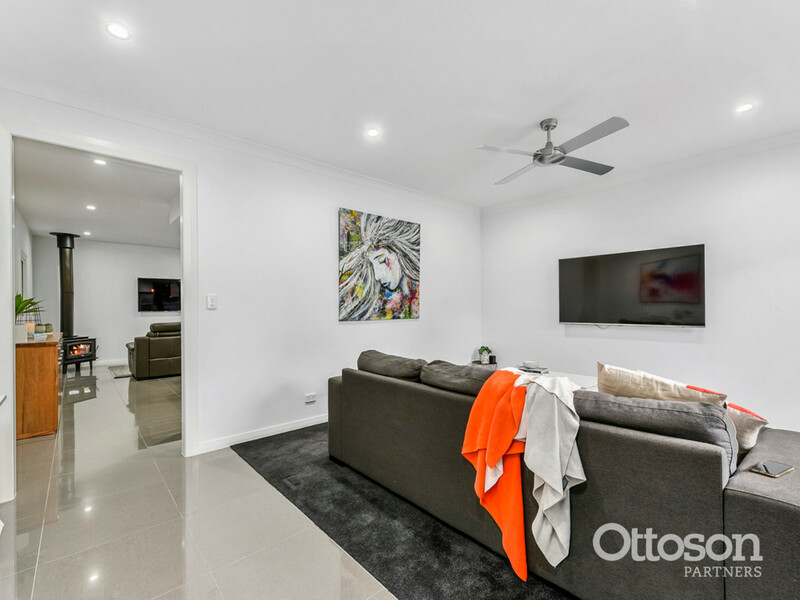 Stylish Four Bedroom, Beautifully Presented Home. 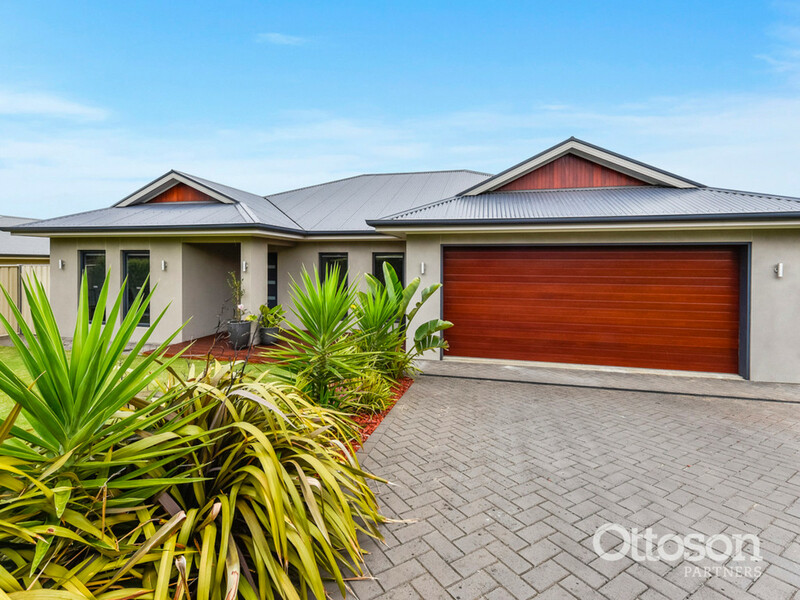 This property ticks all the boxes. 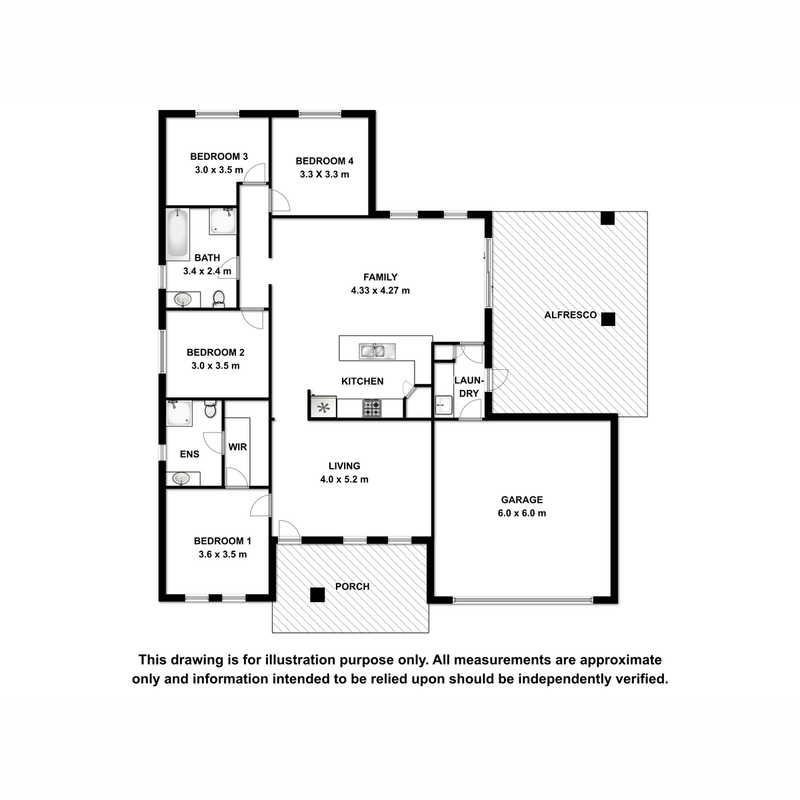 It’s executive living, fit for a family. 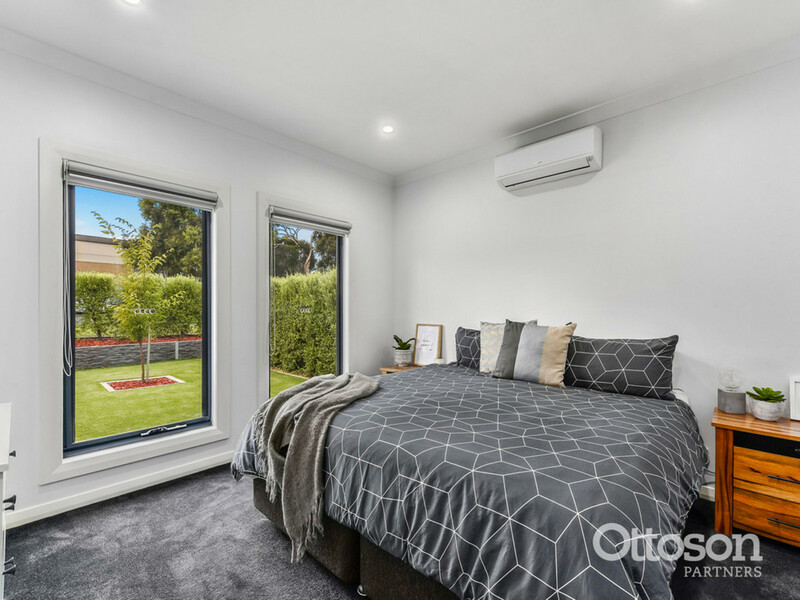 Built with four bedrooms in mind and flexibility to use the fourth as a study, each room has quality built-in’s and a stylish layout. 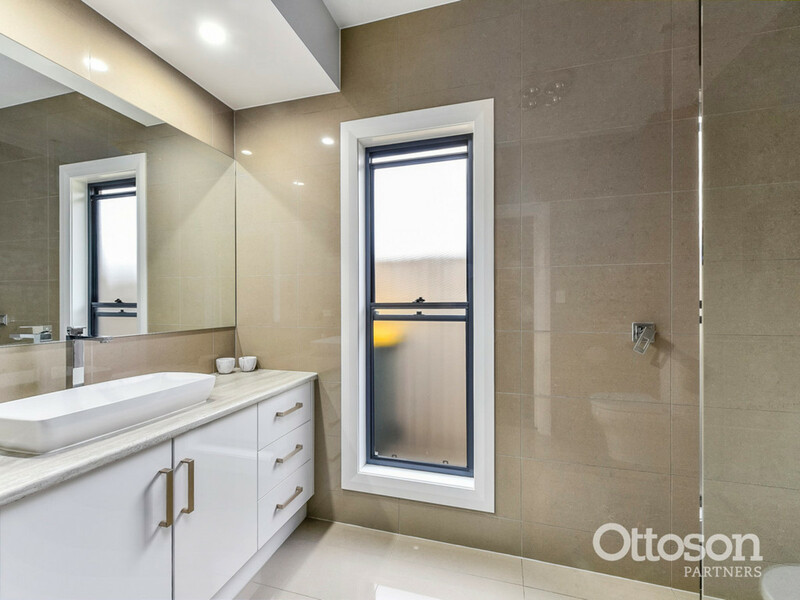 The gorgeous master bedroom features a well designed walk-in robe and ensuite that will be the envy of friends. 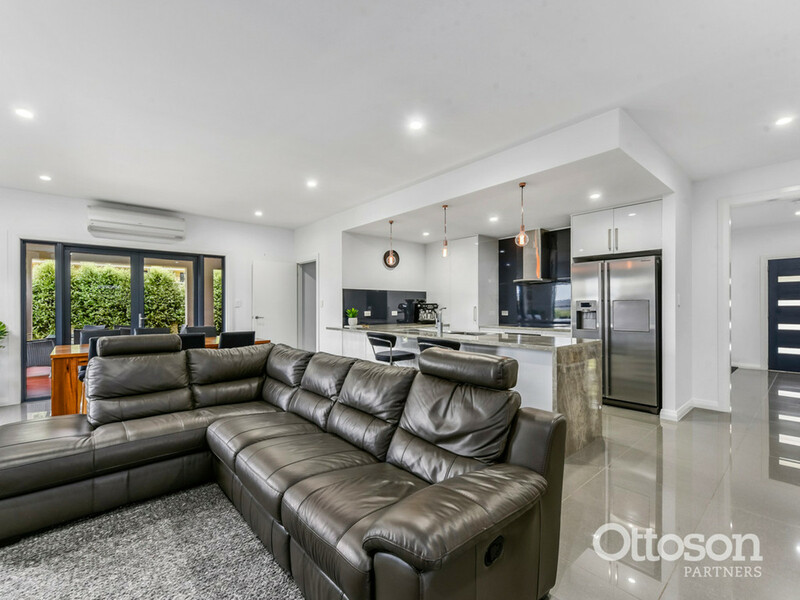 With two separate and comfortable living areas, slow combustion wood heating, and split system air conditioning – only a few years old, this is an established new home that you need to consider before making any other plans. 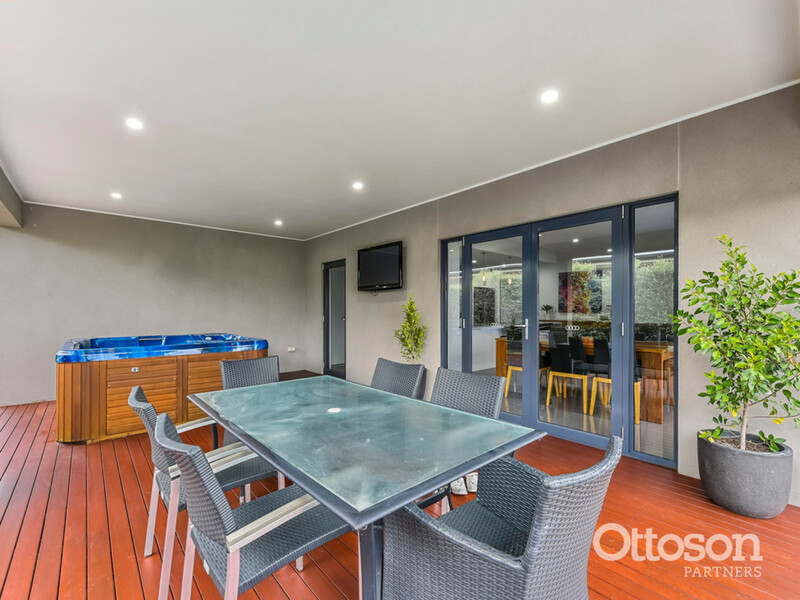 An impressive 7.5m x 6m undercover entertaining deck, with a roller blind to keep out the wind and block the sun, located immediately off the designer dining and kitchen zone, makes entertaining a breeze and a highlight for all seasons. 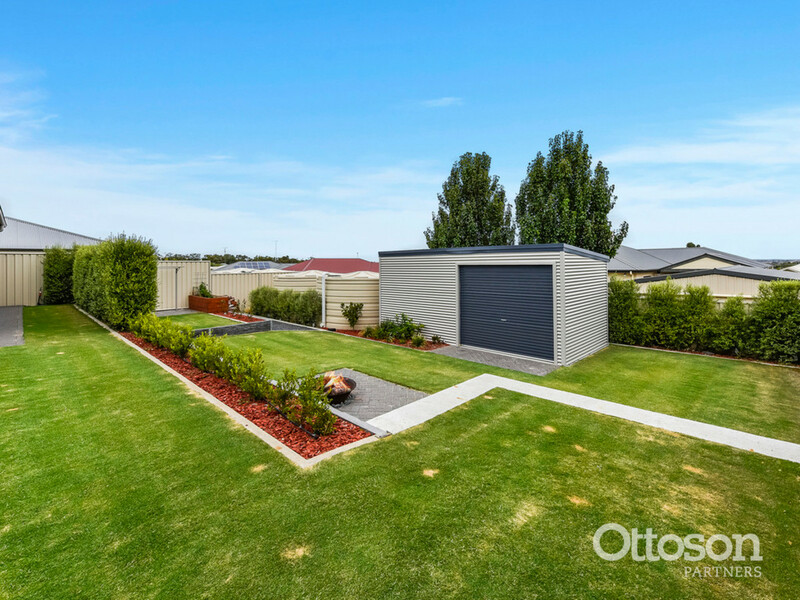 Lawn lovers will appreciate this neat and tidy backyard that still shows flair and sophistication. 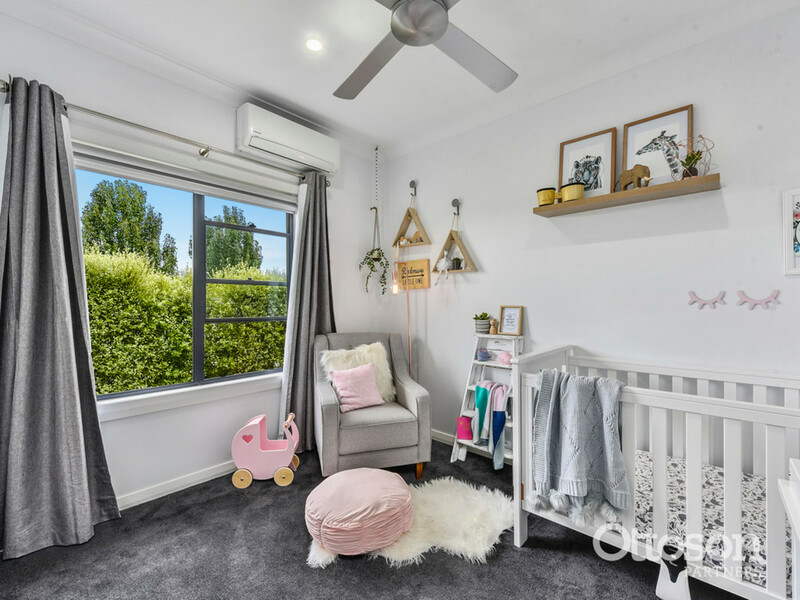 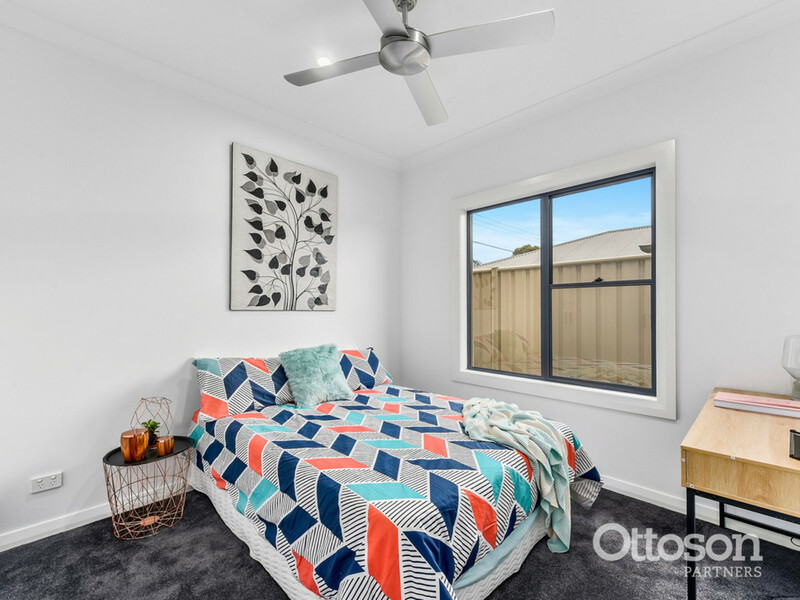 For the family, as it’s located on the quiet southern side of the South School, it comes with the advantage of children being able to walk the couple off hundred metres to school without the noise of being too close. 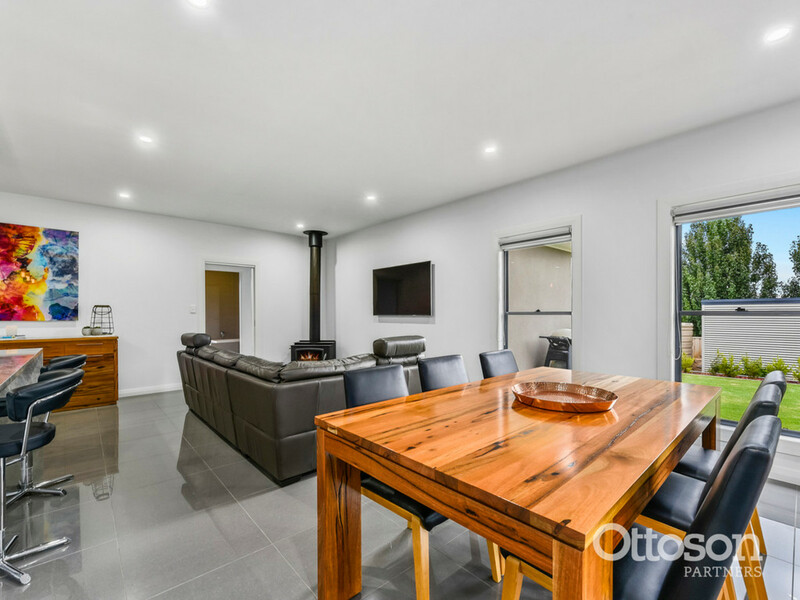 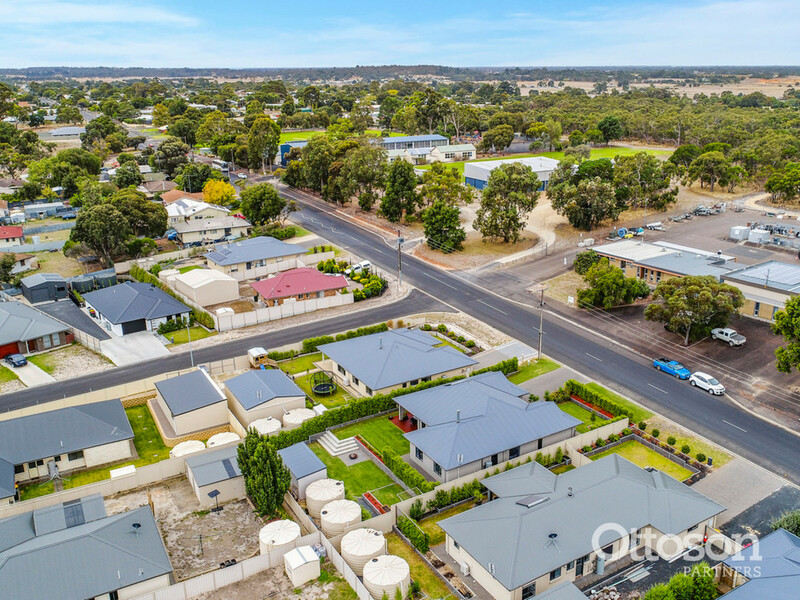 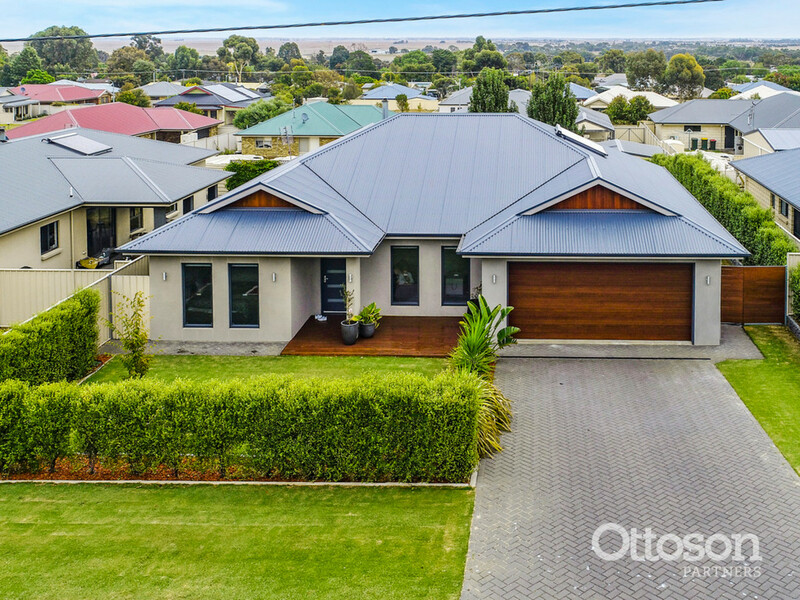 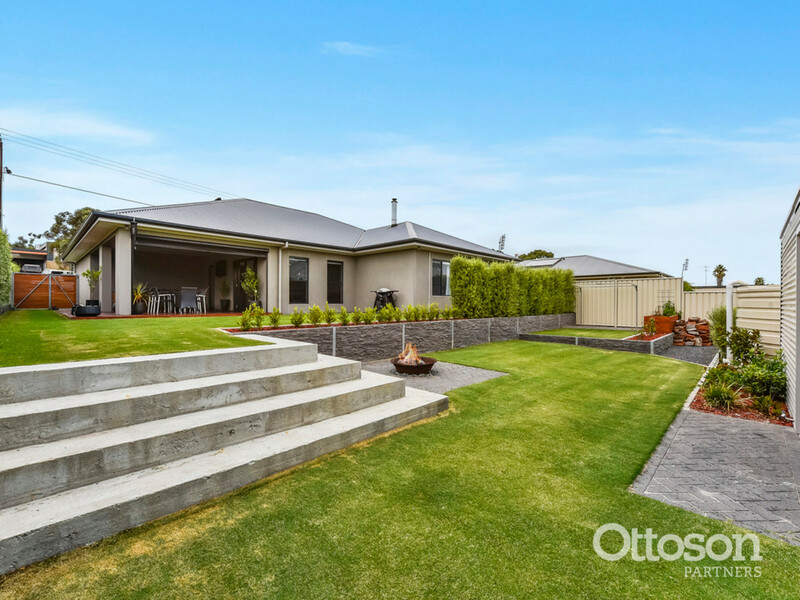 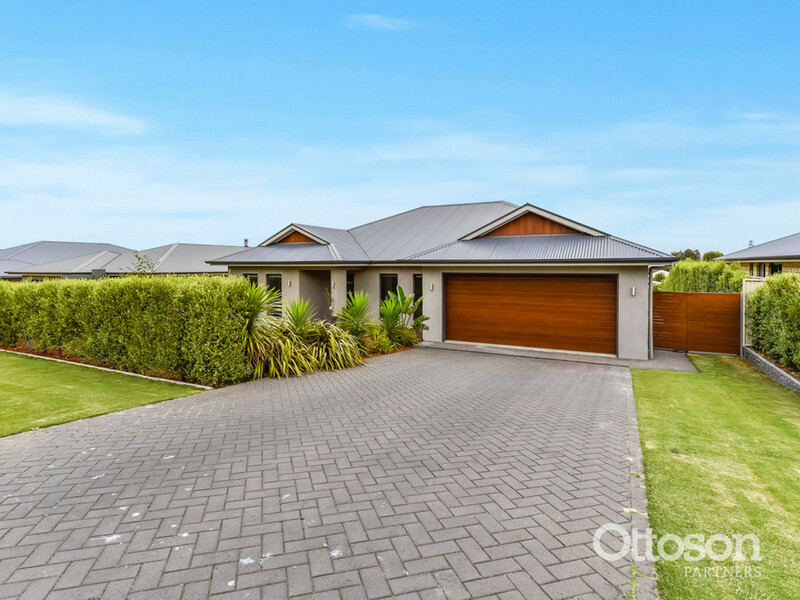 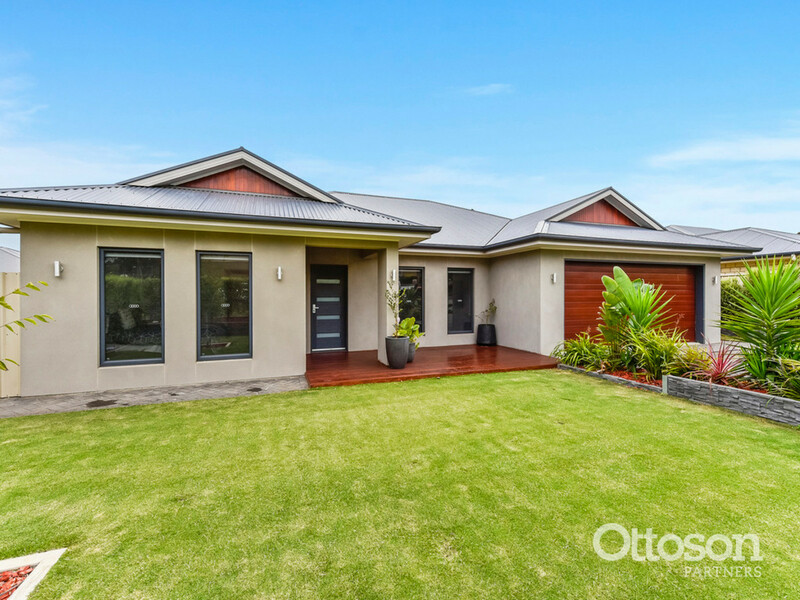 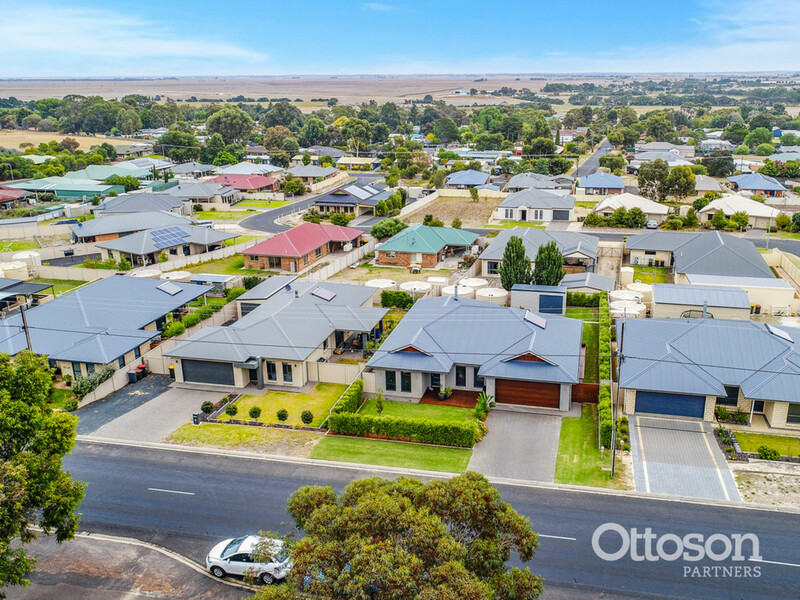 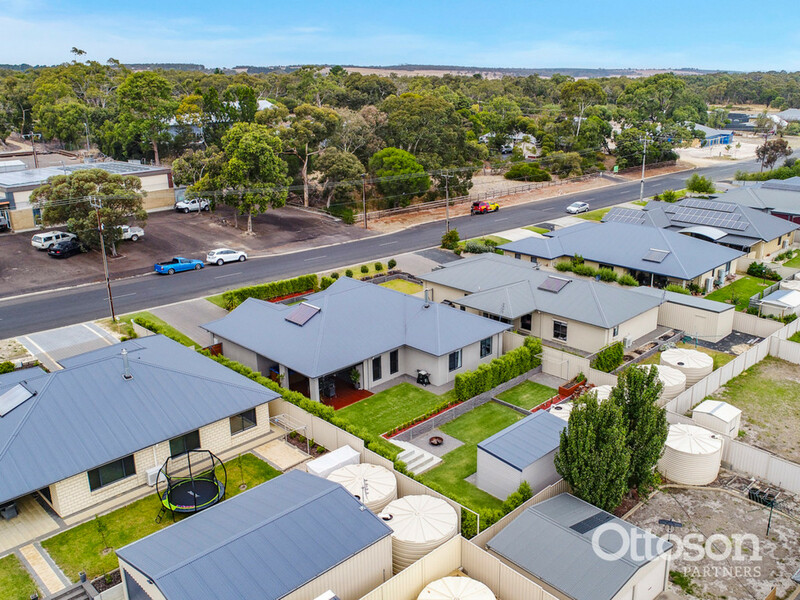 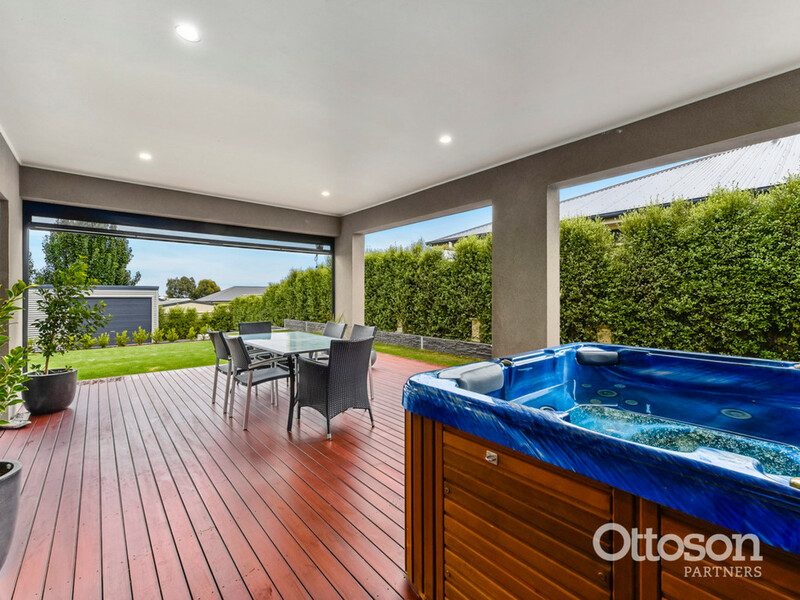 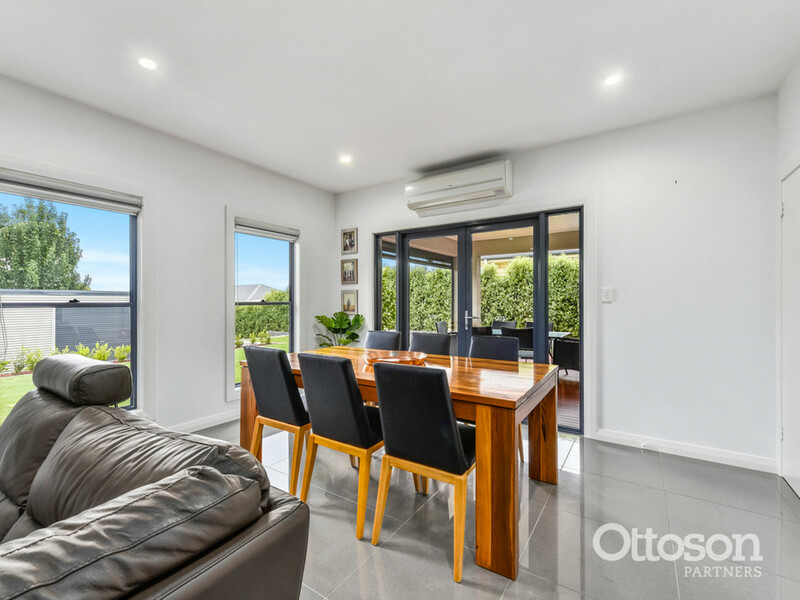 The home has all the extras that make up a desirable quality new home, such as rain water plumbed to the house from 2 x 22,500L tanks and a near new 3m x 6m storage shed in the backyard. 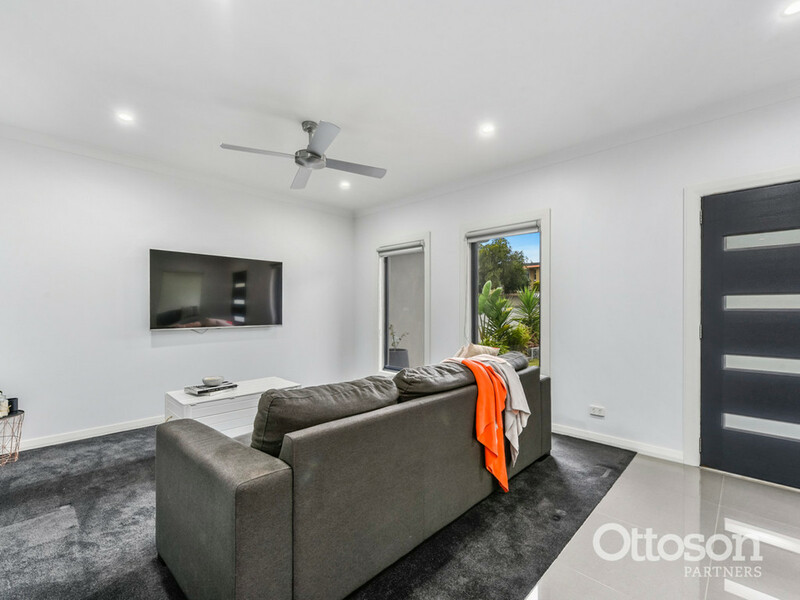 The added bonus of access through the laundry from the shed to the kitchen makes bringing the shopping in so much easier, and revealing another well thought out aspect of this must-see home. 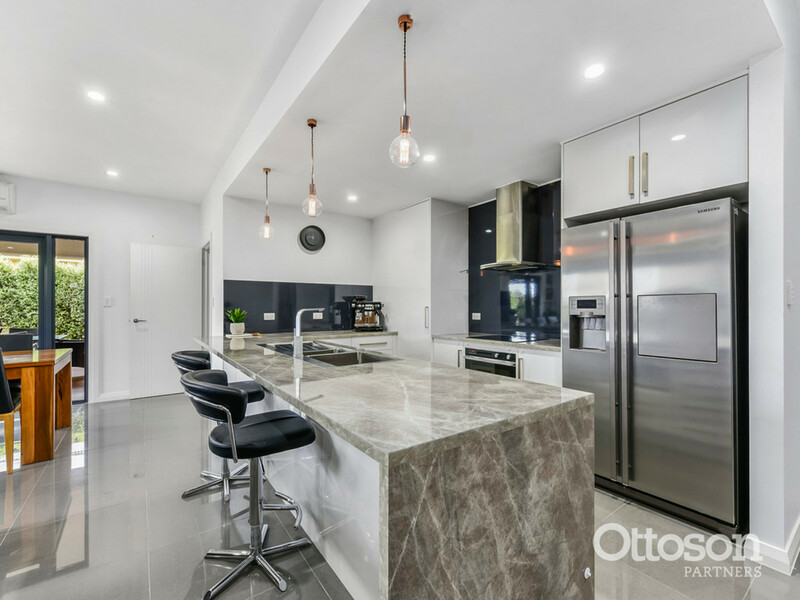 Rarely do these new quality homes come to the market – don’t sit and wonder, call Henry today.